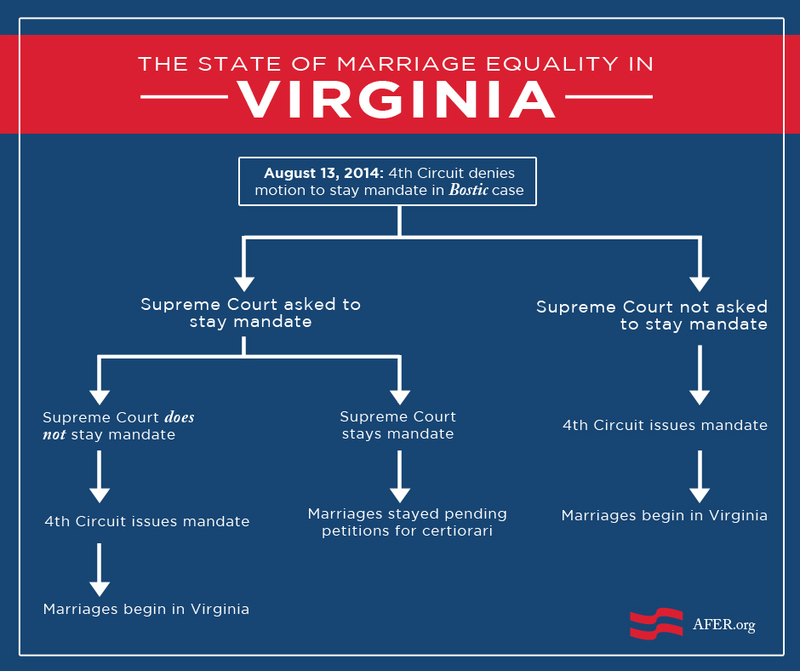 On August 13, 2014, the U.S. Court of Appeals for the Fourth Circuit denied a request to stay, or delay implementation of, the decision that found Virginia Marriage Amendment unconstitutional. The defendants may make an emergency appeal to the United States Supreme Court to ask for a stay of the mandate that will allow gay and lesbian couples to marry in Virginia. In the event that the Supreme Court does not issue a stay, or if no appeal is made to the Supreme Court, the Fourth Circuit Court of Appeals will issue a mandate within the month and marriages would begin in Virginia immediately thereafter. If an appeal is made to the Supreme Court and a stay is issued, marriages would not begin in the Commonwealth pending Supreme Court review of petitions for writ of certiorari. 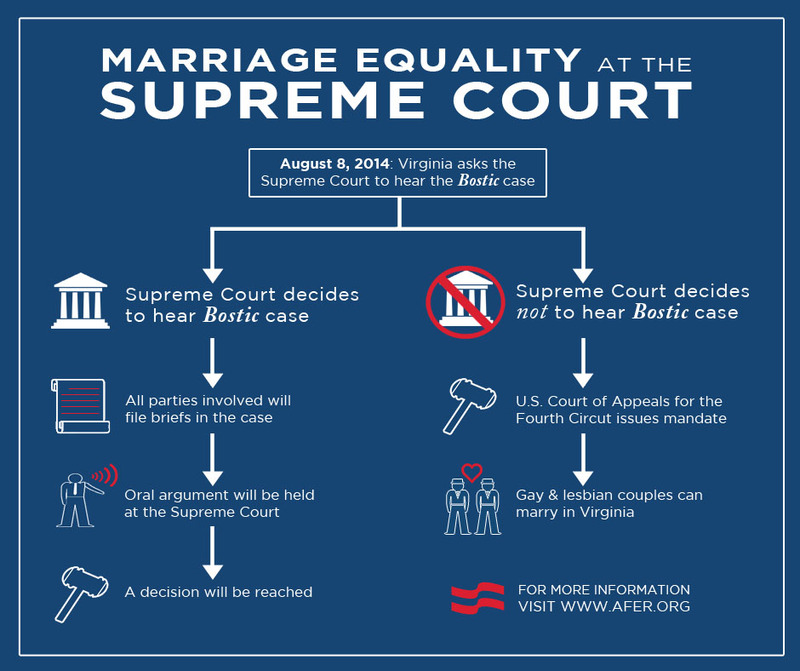 Last week, on August 8, the Commonwealth of Virginia asked the United States Supreme Court to review the federal appeals court ruling in Bostic v. Schaefer (docketed as Rainey v. Bostic) that found Virginia’s discriminatory Marriage Amendment unconstitutional. Defendants’ request for Supreme Court review, known as a petition for a writ of certiorari, is only granted upon an affirmative vote of four Supreme Court Justices.